Hybrids are known for being the eco-friendly and economical choices of the vehicle market. 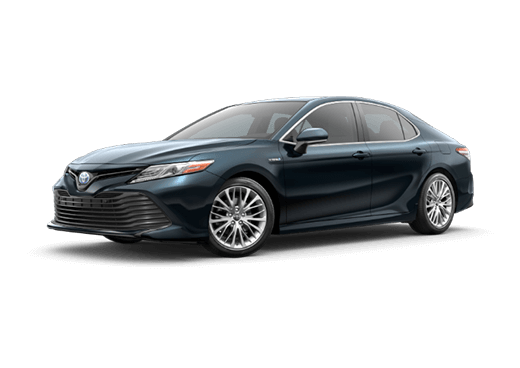 The 2019 Toyota Camry Hybrid brings all of this together with a muscular design. Its aerodynamic build and iconic curvature are completed with a front power tilt/slide moonroof and shark fin antenna. Its powerful looks hint at the robust and compelling engine within. The 2.5-Liter Dynamic Force 4-Cylinder DOHC 16-Valve D-45 Dual Injection engine can switch between four drive modes: ECO, Normal, Sport, and EV. With an engine like that, it is no surprise the 2019 Toyota Camry Hybrid is well equipped to go 51 miles-per-gallon in the city and an incredible 53 mpg on the highway. 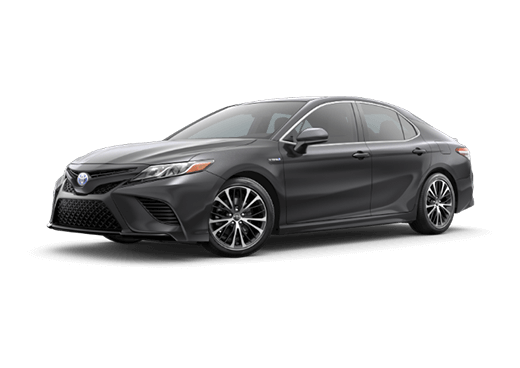 Apple CarPlay ® is now a standard feature on Camry vehicles. 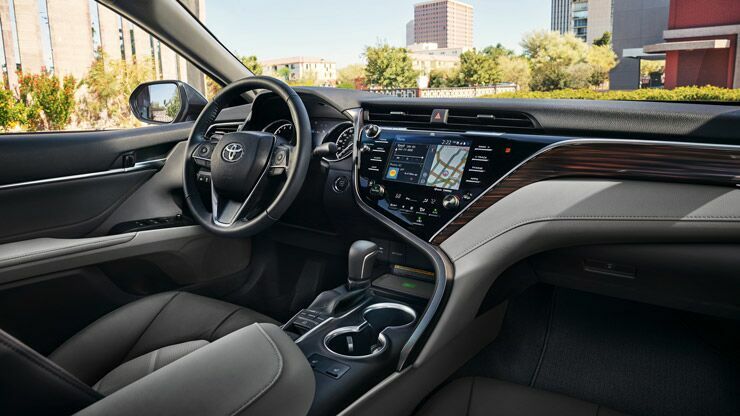 Your 2019 Toyota Camry Hybrid will receive all of the capabilities of your smart-phone such as making calls, sending messages, and listening to your own music. 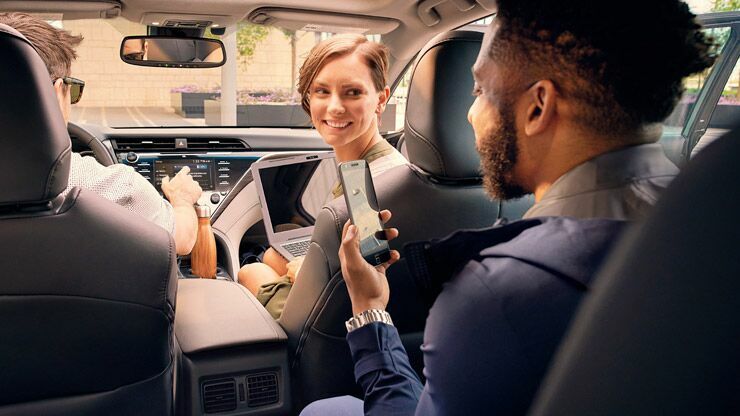 Of course, all of this can be done hands-free, so no need to worry about pulling over to use your phone. The available Bird’s Eye View Camera with Perimeter Scan really allows you to see your vehicle from above. Using front-, side-, and rear-mounted cameras, the system configures an overhead view of your vehicle to show you how much space is around your vehicle. Parking will be a breeze when you know exactly how much room you have to work with. Ever spent way too long traversing a parking lot in confusion, sure that you parked around here somewhere, only to find out you’re three aisles over? Never lose your vehicle again with Remote Connect. 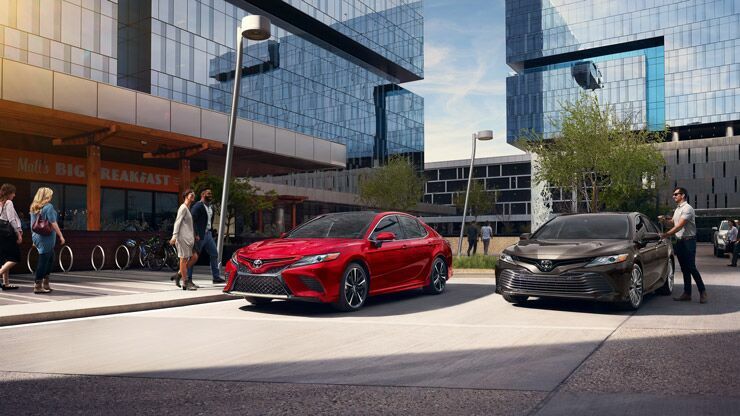 This technology allows you to monitor the location of your 2019 Toyota Camry Hybrid from far away, making it easy to find your vehicle in any circumstance. Remote Connect can also start, lock, or unlock your vehicle from a far distance.